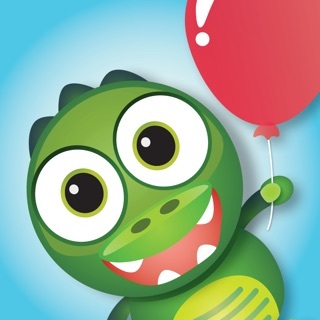 Have fun while learning a new language! 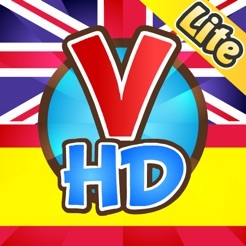 VocabuLand HD is a beginner’s guide to Spanish or English. Play a game to start building your vocabulary and test your skills. 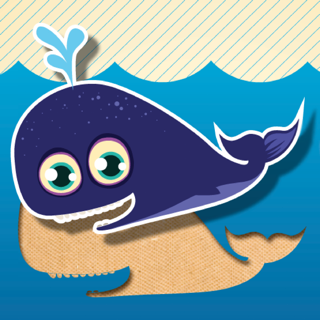 The text and cute images make it easy to introduce yourself to the Spanish or English language. Click “...More” to learn why you should download this App today! You’d really like to learn to speak and read Spanish but you don’t have the time or money to attend classes. Besides, you prefer a more relaxed way to learn, something you can pick up whenever you have a few minutes or feel like getting into. 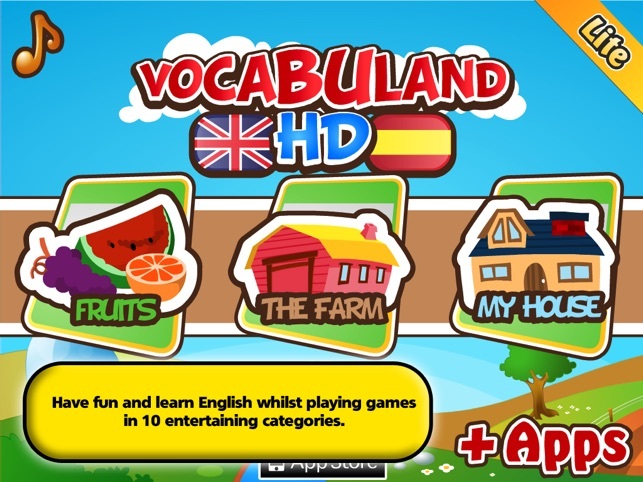 That’s why VocabuLand HD is perfect for you. 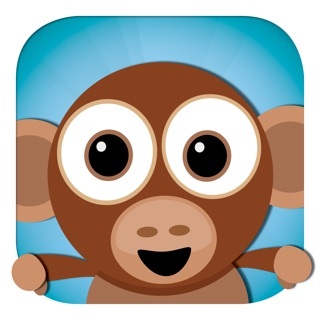 This app is an amusing teaching application that uses a game environment to help you build your starter level vocabulary. 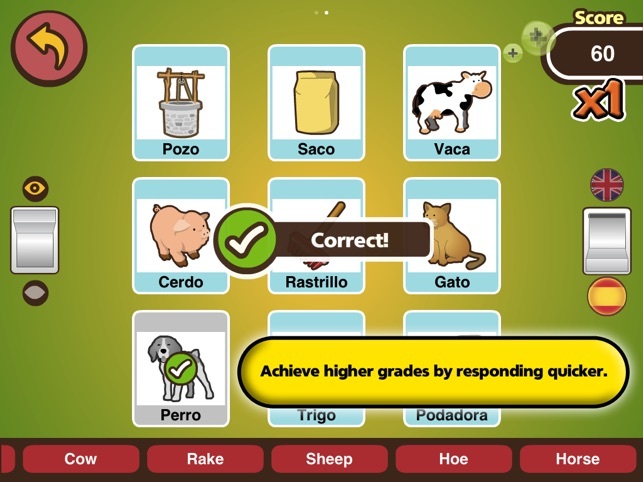 Whether you’re English speaking wanting to learn Spanish, or the other way around, you’ll find this application a really fun and easy way to pick up beginner words in the other language. 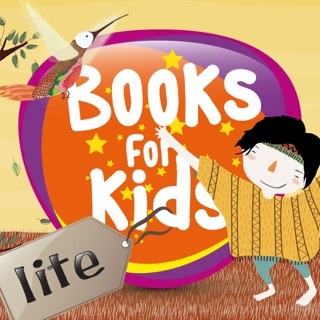 There are ten categories to kick-start your education: Fruits, The Farm, My House, School, The Beach, Transportation, My Body, My City, My Clothes, Appliances. 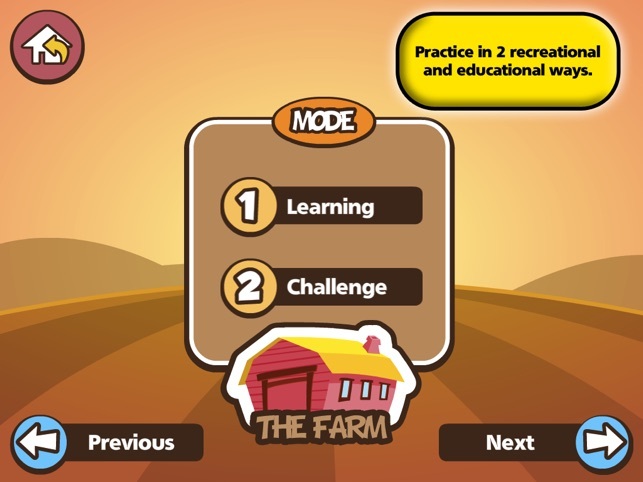 Each category offers you both a learning mode and a challenge mode. You’ll start off with images of different objects, could be animals, fruits, etc. 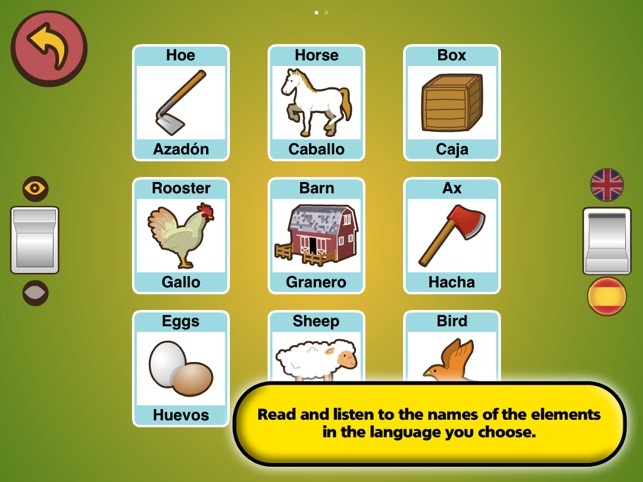 Each item is labeled in English and Spanish and clicking on the object will give you the correct pronunciation, so you learn to say the word perfectly. Once you’ve taken everything in, test yourself in the challenge mode. You’ll be shown the same images used while you were learning. Go ahead and click on the picture to hear the name of the object spoken in your choice of English or Spanish. Now, can you match the image’s object with the correct word in the other language? To help you out a little, there’s a multiple choice list for you at the bottom of the screen. See, learning a second language really can be fun and easy! What are waiting for? This app is the answer for. 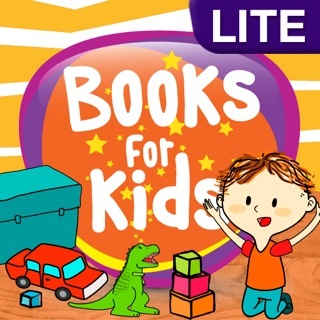 The ad free version only costs 0,99 Dollars and you never have to go to a classroom. Have fun and learn, anytime, anywhere, right on your device. 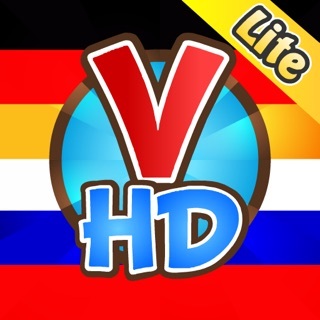 Download VocabuLand HD now and start picking up another language the easy way. 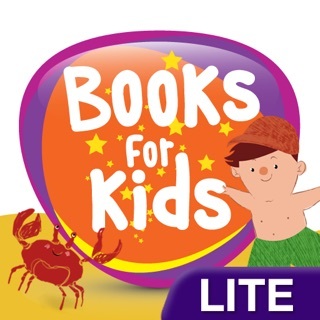 - All categories are now available for free. Nice idea, but the interface is cumbersome. You have to go to the main menu to switch languages. That becomes annoying. There should be an easy way to switch between English and Spanish. The narrator mispronounces some English words. Doesn't go beyond some basic words.